No further major building was done until just before the 1939-45 War, but in the mid 1920s considerable additions were made to the estate. In 1924 32 acres in Alexandra Park, Bordon were purchased and in 1927 916 acres of farm land and common land between Bordon and Oakhanger, and at Kingsley, were bought for use as additional training areas. Barrack building restarted in 1935 when the old South African type huts in St Lucia and Quebec Barracks were replaced by the standard brick 100-men barrack blocks, some of which still remain in use, modernised. At this time too Havannah Barracks was built, to another standard design known as the Sandhurst Block, the purpose of which was to house a battalion or regiment all under one roof. This still remains, extensively modernised and added to from 1977 onwards. 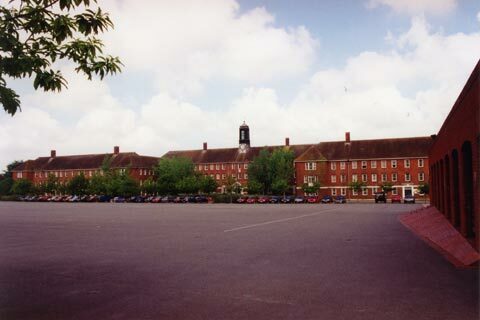 On 27 th June 1984 Havannah Barracks were renamed Prince Philip Barracks by Gen. Sir Richard Trent, KCB. 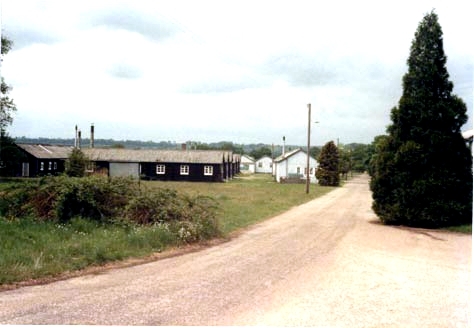 The last project before the Second World War was the building of a wooden hutted camp near Oxney Farm. This was named Martinique Barracks and the old Martinique was renamed Louisburg South. The new Martinique was dismantled in 1983 by contractors for erection elsewhere - a tribute to the quality of the original construction.